A diver was found unconscious in the ocean off Point Loma and died, a U.S. Coast Guard official said Sunday. 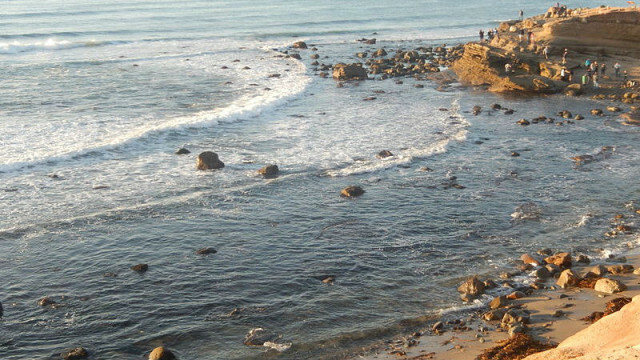 Just before 11 a.m. Saturday, dispatchers received word of a diver who had been found unresponsive in the water near the Point Loma Tide Pools, according to Coast Guard spokesman Petty Officer Patrick Kelley. A Coast Guard boat headed to the scene to assist, and a bystander had pulled the 73-year-old man out of the water by the time they arrived, Kelley said. The man was taken to Naval Base-Point Loma, where medical personnel were waiting, but it was determined that he had already died. It wasn’t immediately clear what the cause of death was, and the man’s identity was not immediately released.